The 2015 Toyota Tundra continues to be one of the best full-sized, 1/2 ton trucks you can buy. Visit the truck experts at Lipton Toyota in Fort Lauderdale, FL and see for yourself just how great Toyota trucks are. We're an easy drive from Weston or Deerfield Beach. The 2015 Nissan Titan is showing its age and has fallen behind all the other full sized trucks in recent years in several areas. Toyota prices the Tundra over $1,000 less than the base MSRP for the Nissan Titan in the same configuration. If you compare each configuration head to head the Nissan is more expensive every time, and historically has a lower resale value. Compared feature for feature, you have to add another $1,000 worth of options to the lower trim level Titan's to have it similarly equipped to the Tundra. 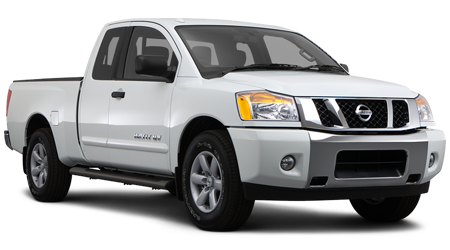 Nissan sells fewer styles and configurations of Titan than Toyota offers of Tundra. There is no regular cab Titan, and the extended cab only comes with a 6'7" bed, plus there is only 1 engine offered. 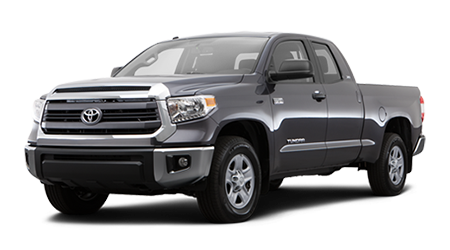 Toyota offers the Tundra as a regular cab with 8' bed, an extended Double Cab with a 6'6" bed or 8' bed, and a CrewMax with a 5'6" bed. You can have your Tundra with either a 4.6 liter or a 5.7 liter V8, and the smaller V8 makes almost as much power as the Titan and gets better mileage too. When you combine all those advantages with Toyota's reputation for quality and reliability, why would you buy any truck other than the 2015 Tundra? Lipton Toyota in Ft. Lauderdale, FL has the full lineup of Tacoma and Tundra trucks, and we're ready to make a deal for you. So, drive on over from Hollywood or wherever you live, and take one for a spin.